Manhattan District Attorney Cyrus R. Vance, Jr., and New York City Police Commissioner James O’Neill today announced the indictment of SHAVAR STUCKEY, 31, and LEVON JACKSON, 30, for selling 105 firearms and corresponding ammunition to an undercover NYPD detective posing as a firearms dealer. The indictment also charges DEVON HEATLEY, 32, and three South Carolina residents – TROY ALLEN, 32, SHAKIAL SHEPHARD, 22, and LIQ’UEL ROBINSON, 19 – for knowingly supplying the firearms for illegal sales in New York City. The defendants are all charged in a 203-count New York State Supreme Court indictment with Conspiracy in the Fourth Degree, as well as various counts of Criminal Sale of a Firearm in the First, Second, and Third Degrees. 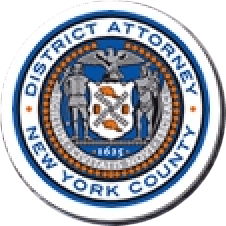 The indictment follows a long-term investigation conducted by the Manhattan District Attorney’s Office’s Violent Criminal Enterprises Unit and detectives from the NYPD’s Firearms Investigation Unit. According to the indictment and documents filed in court, between December 14, 2015, and March 7, 2017, STUCKEY and JACKSON sold 105 firearms, including 75 semi-automatic pistols, 21 revolvers, 5 assault rifles, and 4 shotguns, as well as hundreds of rounds of corresponding ammunition, to an undercover NYPD detective posing as a firearms dealer. The sales took place in or around the undercover detective’s vehicle over 42 separate transactions in Harlem and the Bronx, with prices ranging from $800 to $2,000 per firearm. South Carolina-based co-defendants ALLEN, SHEPHARD, and ROBINSON supplied the bulk of the firearms to STUCKEY and JACKSON, both of whom have family connections to South Carolina. STUCKEY acquired several firearms from Harlem resident HEATLEY, who also participated in three sales to the undercover detective. The defendants coordinated sales over the phone and through text messages. The South Carolina-based defendants purchased the weapons from local firearms dealers and transported the weapons to STUCKEY and JACKSON directly, typically taking a discount inter-city bus to Lower Manhattan, and then traveling uptown on the subway or in a cab. The investigation was conducted jointly by the Manhattan District Attorney’s Violent Criminal Enterprises Unit (VCEU) and the NYPD’s Firearms Investigation Unit. VCEU was created in 2010 by District Attorney Vance to lead the efforts of the Manhattan District Attorney’s Office in combatting gun and gang violence, with an enhanced focus on illegal firearms trafficking within New York City. Since its formation, VCEU has brought 24 indictments against 80 gun traffickers operating between New York City and states including Virginia, North and South Carolina, Georgia, Ohio, New Jersey and Pennsylvania. VCEU has increased gun trafficking prosecutions by the Manhattan District Attorney’s Office by more than 1,000 percent, and has conducted investigations resulting in the removal of more than 1,200 illegal firearms from the streets of New York City. Assistant District Attorneys Duane Hanson and Leah Saxtein are prosecuting the case under the supervision of Assistant District Attorneys Christopher Prevost, Deputy Chief of VCEU, and Christopher Ryan, Chief of VCEU, as well as Executive Assistant District Attorney John Irwin, Chief of the Trial Division. District Attorney Vance thanked Police Commissioner O’Neill, as well as Chief of Detectives Robert Boyce, Chief James Essig, Deputy Inspector Brian Gill, Captain Jonathan Korabel, Lieutenant Thomas McPartland, Sergeant Robert Abramson, Sergeant Matthew Griffin, Detective Jonathan Jordan, now-retired Detective Ralph Sherlock, and the undercover detectives of the Firearms Investigation Unit. District Attorney Vance also thanked the U.S. Marshals at the NY/NJ Regional Fugitive Task Force and Southeast Regional Fugitive Task Force.